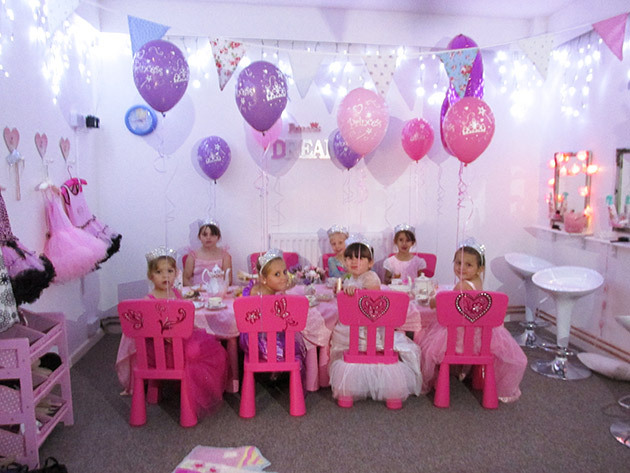 Princess Parties Bromsgrove - Arrange a special day for your little princess! Girls Princess Parties Now Available at Balloon Box in Bromsgrove! Looking for something different for your little girl's next birthday party ...? When it's time to leave you'll have cupcake you've decorated and a balloon to take home! Dress Like a Princess parties last two hours, they are perfect for girls aged 4-11. Give us a call on 01527 575151 or pop into our shop at 142 New Road, Aston Fields to check availability and book your little princess' party today. Or you can book the room and hold your own party! Or hire our princess tables, chairs, accessories and dresses to use at your own venue... give us a ring for more details! Not in the Bromsgrove Area? Balloon Box Bromsgrove supply Fancy Dress, Party Services, Balloons, Giant Garden Games and Mascot Hire in Bromsgrove, Redditch, Droitwich, Kidderminster, Worcester, Barnt Green, Alvechurch and all surrounding areas. Fancy Dress costumes and accessories, Theatrical Costumes and Children's Book Day Costumes available to buy or hire from our Bromsgrove Fancy Dress Shop. We are the leading Adult and Childrens Fancy Dress suppliers for this area so if you're looking for a Fancy Dress Shop in Droitwich, Redditch, Worcester or the surrounding area come to Balloon Box Bromsgrove.